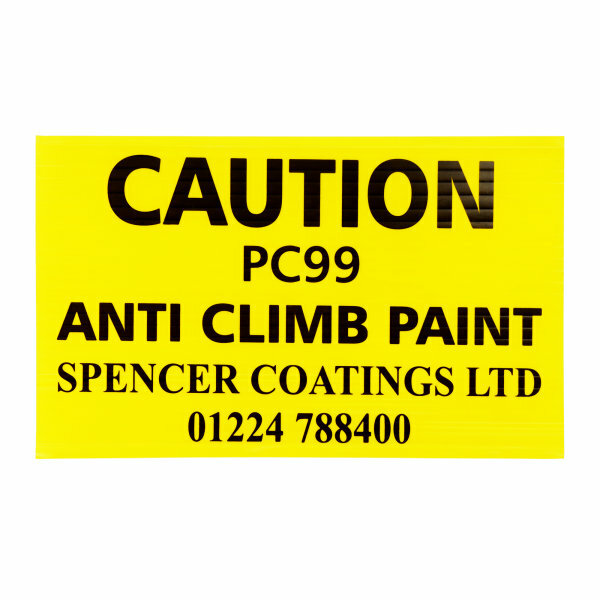 Security sign "Caution PC99 Security Paint" to be used in conjunction with Spencer Coatings Bitumastic PC99 Anti Intruder Coating. 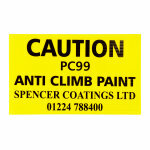 The PC99 security sign is for use with Spencer Coatings Bitumastic PC99 Anti Intruder Coating. 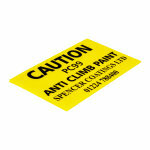 It is a warning sign for initial prevention of security breaches prior to potential contact with PC99 Anti Intruder Coating.